« The ‘Willoughby’ apple – has anyone heard of this? Exotic Pears – how are they made? 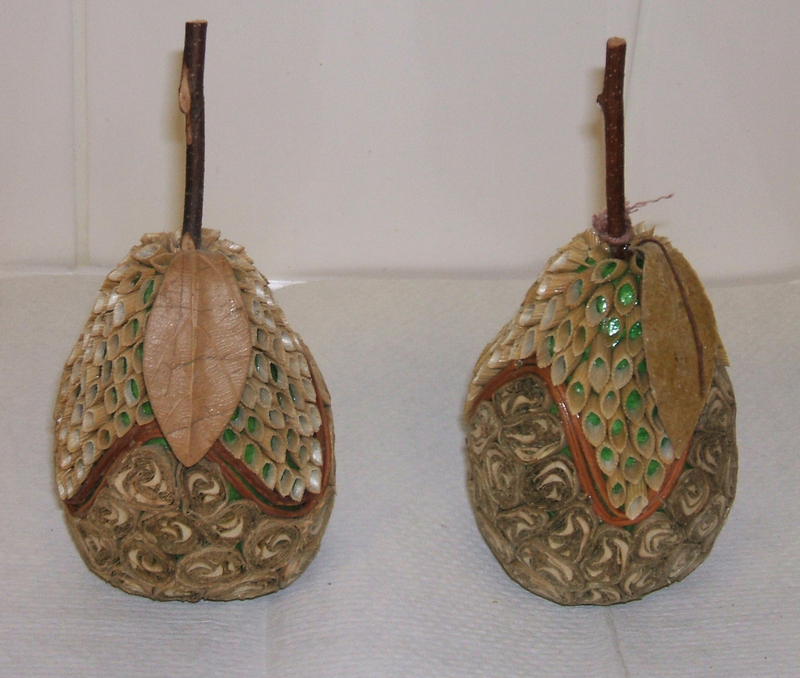 These beautifully crafted pears, which I saw recently, brought to mind the technique of quilling, done using strips of paper as illustrated here. In the above examples, however, the effect was created using plant material which has a softening effect rather than the sharp edges of paper, but I would like to have go at some point. I have the quilling paper, but would need to try and shape a pear as the base out of polystyrene. Maybe a Fruit Forum reader can give some more information on these very attractive, artificial pears – I would love to own one.